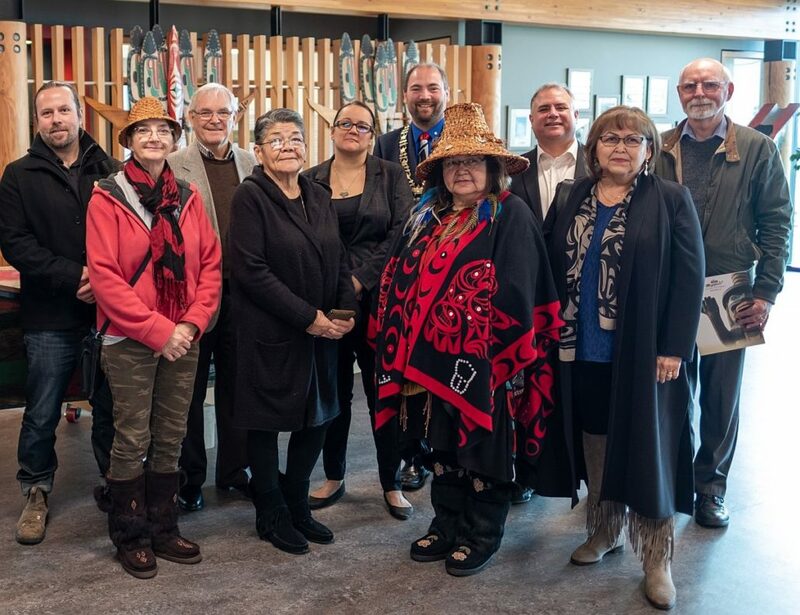 A historic milestone in reconciliation and intergovernmental relations has taken place in the Comox Valley. A First Nation, a municipality and an environmental non-profit have signed a Memorandum of Understanding (MOU) to collaboratively purchase, restore and manage a key property in the heart of their community. The three signatories, the K’ómoks First Nation, the City of Courtenay and Comox Valley Project Watershed Society are working together with Interfor Corporation, the current owners of the property, to acquire and then restore a former sawmill site to natural habitat. 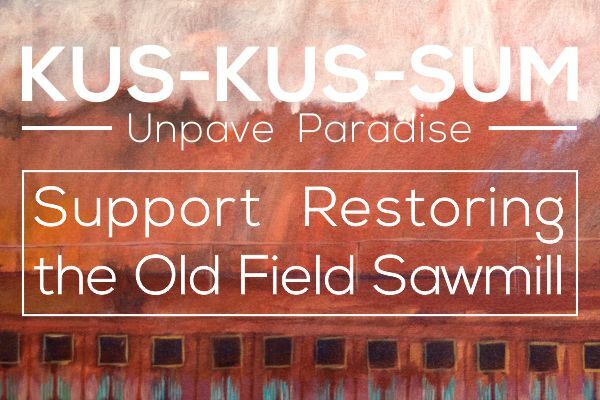 The site has been renamed Kus-kus-sum. Participation in this project is without prejudice to any specific claim the K’ómoks First Nation may file in relation to this site. 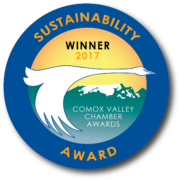 Since 2006, Kus-kus-sum has remained as 8.3 acres of vacant cement along a critical salmon migration corridor in the heart of the Comox Valley. As part of the K’ómoks Estuary, the restored area at Kus-kus-sum will provide fish and wildlife habitat, help mitigate climate change, buffer against sea level rise, attenuate localized flooding, become a culturally significant landmark and provide educational and recreational opportunities. The restored habitat will be particularly beneficial for young salmon, which require a place to escape high river flows, predation by seals, and holding areas to allow for forage, growth, and acclimatization to increasing salinities before their marine migration. Although non-binding, this initial agreement formalizes the partnership between the three parties in relation to Kus-kus-sum and outlines the issues that need to be addressed in further documents. It sets Oct 20th, 2019 as the date for entering a binding agreement that will detail the nuances of purchasing, restoring and managing the property collaboratively. “Working collaboratively with Project Watershed and K’omoks First Nation has been an essential component of this project, and as we move forward through the formal agreement process we look forward to building on this strong relationship with our project partners. 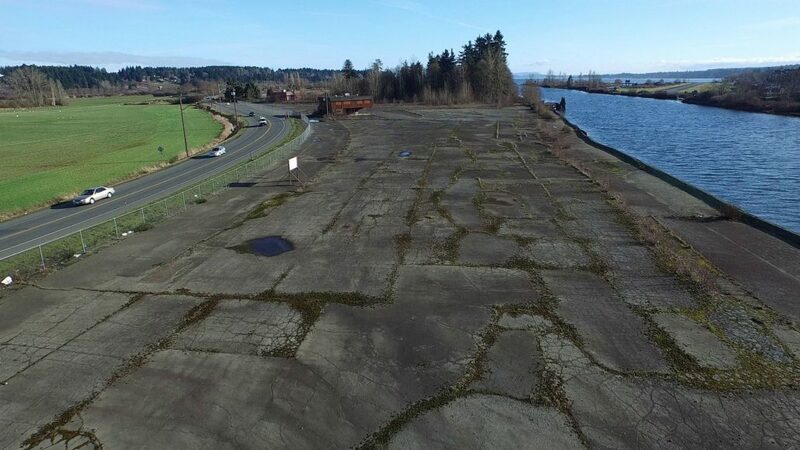 The restoration of Kus-kus-sum will have tremendous cultural, environmental, social, and economic benefits, and the community has shown a high level of enthusiasm over the future vision for this site.” reports David Allen, City of Courtenay Chief Administrative Officer. 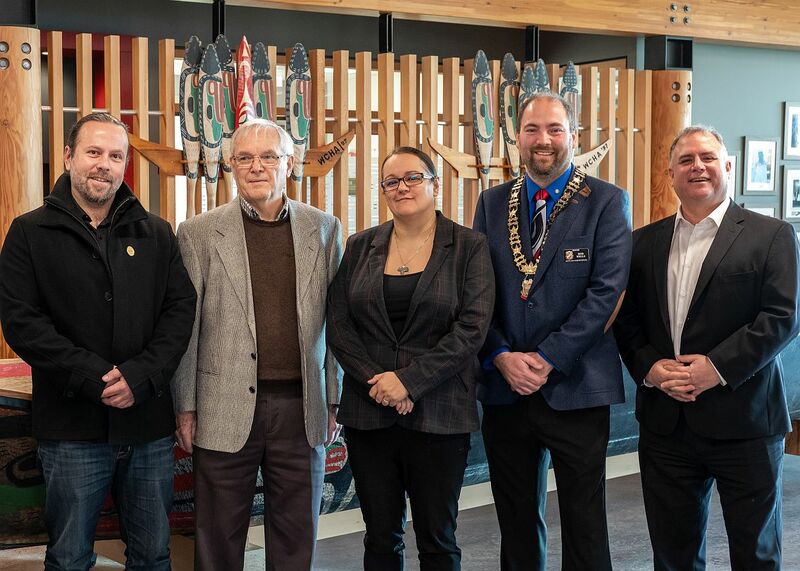 The MOU states that the City of Courtenay and K’ómoks First Nation will be co-owners of the land once it has been purchased and identifies Project Watershed as the lead in carrying out the restoration and fundraising campaign. The cost of purchasing and restoring the site has been estimated at $6.5 million. A fundraising campaign was initiated by Project Watershed in September 2017. To date, the organization has raised $277,000 from the community and almost 1 million in total from foundations and government agencies. While the property may be on the site of an old K’ómoks First Nation Village, the K’ómoks First Nation’s participation in the project and the MOU is without prejudice to any specific claim K’ómoks may have on file and will not affect K’ómok’s asserted Aboriginal title or other Aboriginal rights. The next steps the three signatories are faced with are to draft and finalize the binding agreement before Oct 20th, 2019 and raise the funds necessary to purchase the property. If the purchase price is not met then the property could go back on the market. For more information on the project visit the Kus-kus-sum page.